If you’re a guy (or a girl!) with a crush on Buffy, Willow, Xander, Angel, or Spike, wouldn’t you love to have them in your bedroom or apartment all the time? Yeah, we thought so — not that we disagree! 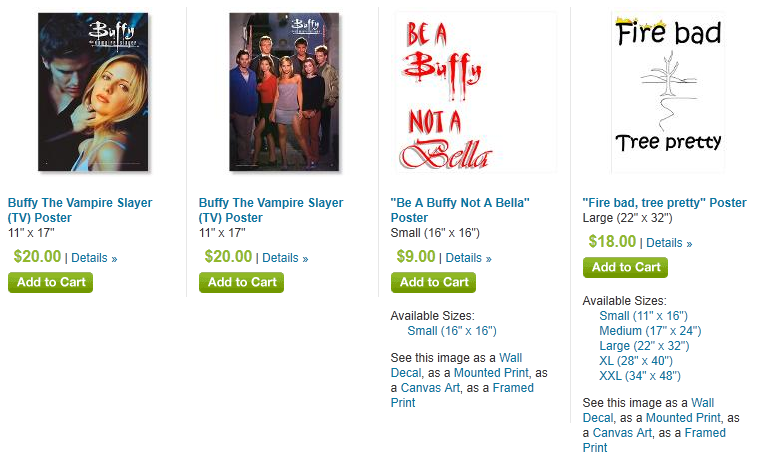 Well, even though “Buffy the Vampire Slayer” ended several years ago, you can still get “Buffy” posters to decorate your home — with whatever character and in whatever way you wish! 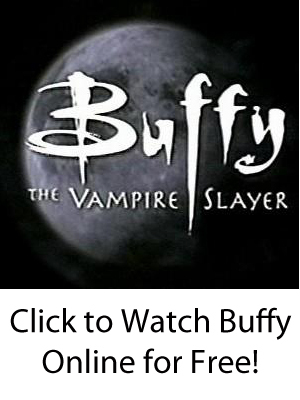 As we at BTVS Online wrote at our general Merchandise and Collectibles page, this website aims to provide as many resources for any and all “Buffy” fans under the sun. 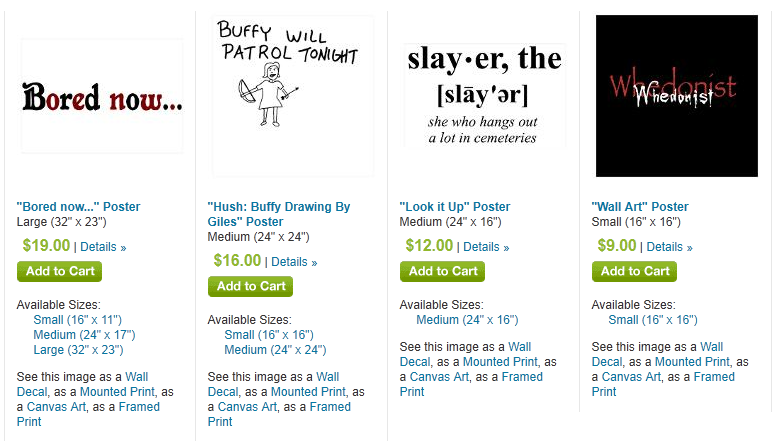 So, on this page, we are identifying the places at which those who, like us, love the show can get “Buffy” posters. Of course, we know that is is difficult — if not impossible — to collect all of the “Buffy” posters and resources that are on the Internet or in private shops and stores throughout the country and world. So, as a result, we always encourage companies and fans of “Buffy the Vampire Slayer” in general to contact us with more resources. (We can be e-mailed at sjscworldwide (at) gmail.com.) There are countless websites and firms out there that cater to those of us who love the show, and our simple aim here at this website is to provide a way to connect the people with the companies and products. After all, we have always viewed Buffy as one of our heroes — remember when Xander said that he always asks himself, “What would Buffy do?” — and as a result, we love the fact that we can get “Buffy” posters delivered to our apartment even to this day. If you see any particular one that you like, click on the image for more information at the resources we have listed.